I’m really liking Navy lately, especially since I’m planning on doing my daughter’s 1st birthday in a Nautical theme. 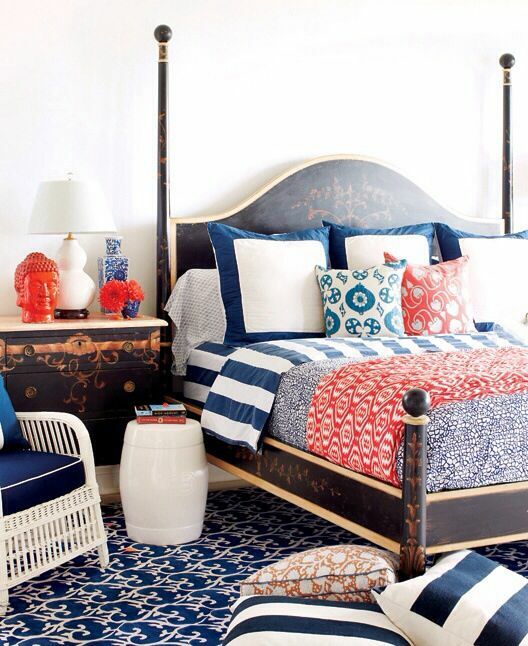 So, here are inspiration pics on how to incorporate Navy into your home. Can you let me know the source for the navy sofa? I think it’s beautiful and I followed your link, but still couldn’t find the source. Thanks! I believe the sofa is from Pottery barn kids. I can’t find that exact Navy image on their website, but here’s the link. So sorry, but I can’t seem to find where that was originally from. What color rug will go with a cream love seat and a cream and indigo lattice print accent chair.